Why is it that people don’t always do what’s best for them? Eating healthy, exercising, flossing, meditation…we tend to ‘fight’ all of these. The same goes for the following post-op instructions that are necessary to follow after a tooth has been removed. As mentioned in the last blog, if you spit out or smoke after a tooth extraction, then the blood clot can be pulled out, resulting in a dry socket. Yet some people still smoke after an extraction! Try to follow these instructions after you’ve had a tooth removed…it’ll make the whole procedure a lot less eventful. You will have gauze in your mouth. Bite on the gauze for one hour. After that take it out and discard it. If the area is bleeding after the gauze is removed, take more gauze and bite on it again for one hour. Bleeding is best controlled by the use of pressure. If after several hours, there is still some bleeding, place a tea bag at the site and bite firmly. The pressure from biting and the tannic acid in the tea bag should help the blood to clot. Sleep with your head elevated. Do not rinse your mouth or spit or smoke for the next 24 hours. If you do, it will stir up the blood clot that is forming and cause it to bleed again or even ‘come out,’ resulting in a dry socket. The following day (24 hours later) you should begin to rinse with a mouthwash (we recommend Listerine) or warm salt water and continue to do so every two to three hours for two weeks. Rinse and brush the area gently, so that the extraction site doesn’t bleed and the blood clot isn’t disturbed. If you keep the area clean you should not experience a problem. You may get some swelling. This tends to occur within twenty four to forty eight hours after the extraction was done. To keep the swelling to a minimum, place ice packs on your cheeks for the rest of the day. Leave them on for twenty to twenty-five minutes and then off for five to ten minutes then on, off, on, off etc. for the rest of the day. The more you ice it, the less swelling you will get. It is best to apply ice within the first 24 hours, because after that, it does not really have much of an effect to reduce the swelling. Once the freezing comes out, there will probably be some discomfort. The pain is usually worse the first day after the extraction. Take the pain medication prescribed after you take the gauze out. Then take the pills as prescribed for as long as you need them. When you don’t need them any longer, stop taking them. In most cases, we prescribe medication for what we feel will be adequate to deal with moderate pain. This is usually Ibuprofen (Motrin); best not take it on an empty stomach, but your pharmacist will fill you in on all the details on how to take the medication. Keep in mind, that the medication can take a bit of time to ‘kick-in.’ In addition, do not drive or drink alcohol while taking your pain medication as the medicine you were prescribed may make you feel drowsy. You may have been given an antibiotic as well. If so, take the first one when you take the gauze out when you are taking your first pain pill. After that, follow the instructions on the bottle until finished. Antibiotics are meant to be finished. Just because you are feeling better, does not mean that you can stop taking them. Only if you get a rash, or are itchy, can you stop taking the antibiotic. This is because you probably have an allergy to the medication. Activity Level It is always best to relax and avoid strenuous activity for the first 24 hours after the extraction. If you are too active, then the pain that you feel may be greater than if you are in a relaxed state. In addition, increased activity can raise your blood pressure which in turn can cause the bleeding to go on longer than normal. There may be stitches placed and if so they will likely dissolve by themselves, unless you have been told otherwise. They usually dissolve within 7-10 days. Try to avoid foods that are very hot or cold or spicy for the first few days. Also try to avoid food like rice that is small and hard and could go into the holes where the teeth were removed. Eat soft food and drink lots of fluids. Also, it is best to eat on the opposite side in which the extraction was done. Please schedule a follow up ‘post op’ appointment in two weeks to make sure that the area is healing the way it should be. Most importantly, if you have any problems or questions, call the office. Please feel free to call our office if you are experiencing anything that you may feel is out of the ordinary with respect to all of the points made above. 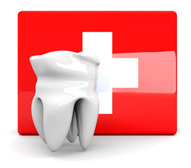 Are you experiencing pain or discomfort following the removal of a tooth? Tooth Extractions need not be painful. We can help. Call us today (905) 791-3867 or e-mail us to book an appointment. Practicing dentistry for more than 23 years, Dr. Robert Axelrad has owned and managed his own dental practice since 1997. He moved his practice to its current, state-of-the-art dental office in Brampton, Ontario in 2002 to accommodate his growing list of happy patients.